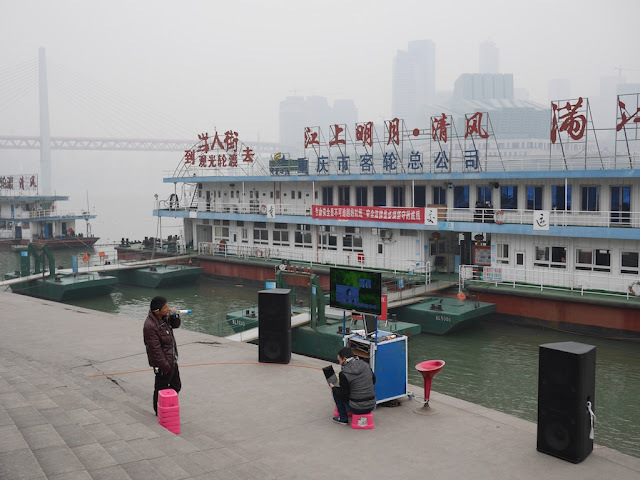 At the scenic Chaotianmen docks in Chongqing yesterday, I saw two men setting up a portable karaoke system in front of a scene which has changed significantly during the past 6 years. 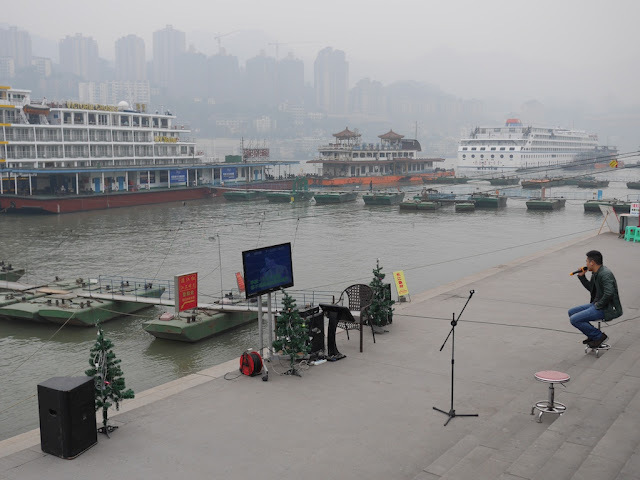 Elsewhere at the docks, I saw another man showcasing his karaoke offerings as well. 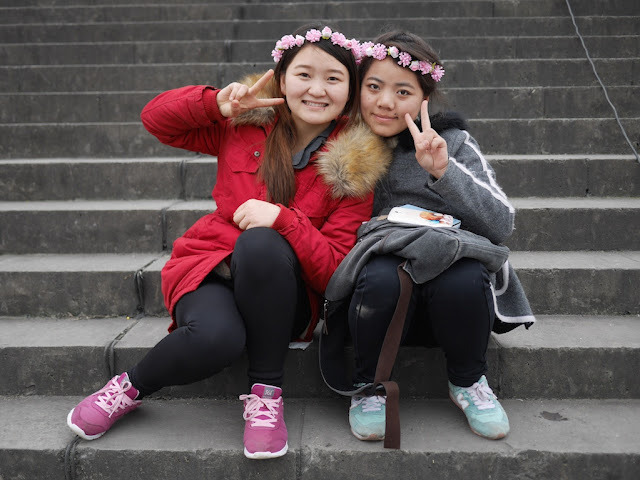 Nearby on the steps, I spoke to two college students visiting from Xi'an, China, wearing newly purchased flower headbands. When I later walked by the same area again, the students were the first paying customers I saw at the temporary karaoke stations. For singing two songs, they paid 10 RMB (about US $1.60). 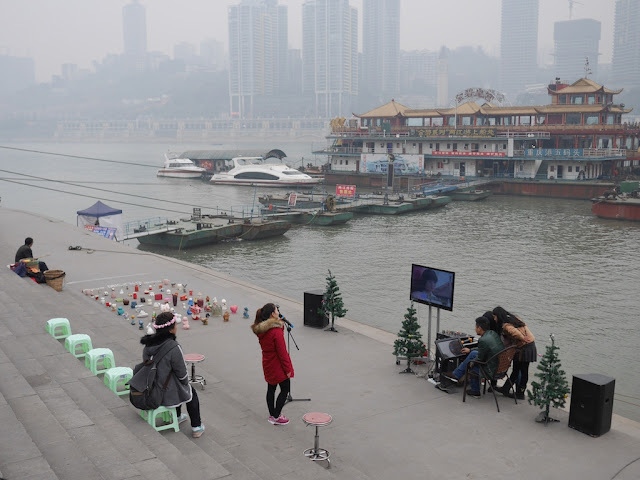 Activity at the outdoor karaoke stations may have picked in the evening when people come for river cruises to take in more of the city's rapidly evolving skyline lit up at night.